If your home or business has been affected by water damage, or you are in need of mold inspection, testing or removal, call (909) 337-7900 or email trevor@dryagain.com the experts at DryAgain Water, Mold and Fire Restoration Services today and experience the difference an experienced restoration team can make. Our service professionals are all highly trained, continually educated, and licensed—including IICRC certification. That means that we have made the investment in our team, our equipment, and in the future of your home or business. At DryAgain Water, Mold and Fire Restoration Services we have combined decades of experience dealing with many different types of restoration, and inspection. Leave it to us. 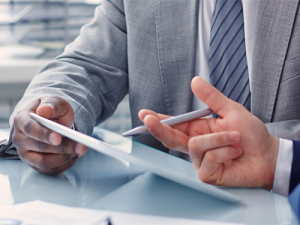 We can even work together with your insurance adjusters to reduce your out-of-pocket costs, whatever the circumstances. The best advice we have for you is: don’t wait! At DryAgain Water, Mold and Fire Restoration Services we are here to help you 24 hours a day, 7 days a week. Don’t wait, call or email us at trevor@dryagain.com for your free, no obligation estimate. 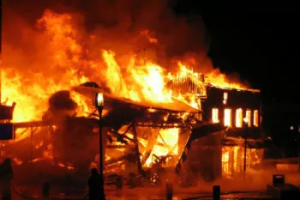 At DryAgain Water, Mold and Fire Restoration Services we know that there are few things more distressing than being asked to wait for the help you so clearly need. In the event of a flood, the clock is ticking, and the longer it takes to get professional assistance, the worse off your property, inventory and possessions will be. At DryAgain Water, Mold and Fire Restoration Services we not only understand the need for haste but also how upsetting this tragedy can be. That’s why we guarantee that a service professional will arrive at your location in 60 minutes or less following your call. DryAgain Water, Mold and Fire Restoration Services is the company you can count on in an emergency! No matter where you live, one of the most common problems that any property owner will face is water damage. Water damage can result from a number of sources, including storm damage, flooding, freezing or improperly sealed pipes or foundations, or even as a result of a fire. Untreated water damage can lead to problems such as swollen plaster, soft, spongy, or rotting wood, musty odors caused by mold, stained or ruined carpeting and upholstery, and a general devaluation of your property. Let’s face it, nobody wants to inherit your mold problem. The only way to deal with water damage is quickly, by calling the IICRC certified water damage restoration experts at DryAgain Water, Mold and Fire Restoration Services. At DryAgain Water, Mold and Fire Restoration Services we understand that all water damage situations are urgent—and we will respond accordingly. We know that the longer your water damage goes untreated, the higher the likelihood that the damage will be irreparable and we are committed to restoring your property to its original pre-loss condition. It’ll be like it never happened. Our services include a complete assessment, after which our restoration team will take immediate action to contain and minimize existing damage. We will remove excess water from the scene, and undertake a complete dry-out of all affected areas. At DryAgain Water, Mold and Fire Restoration Services we believe that the best approach to water damage is a thorough one. Using moisture detection equipment, we will make sure that no lingering pockets of humidity exist on the property that might cause you mold problems later. The professionals at DryAgain Water, Mold and Fire Restoration Services guarantee a complete return for your property back to its pre-loss state—it will be as though the water damage never happened! 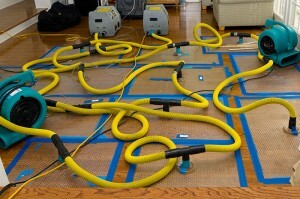 If water damage is not detected early, or taken care of properly, it often leads to mold problems. If your property has recently suffered water damage, even small amounts of damage caused by leaky pipes or improperly sealed tiles, it is a good idea to hire a professional mold inspection service. The service technicians at DryAgain Water, Mold and Fire Restoration Services will provide your home or business with a complete inspection following a positive result in a professional-grade mold test. While the site of water damage remains the most likely area for a mold problem, the problem can also occur in areas that are nowhere near the original incident. When moisture from water damage becomes trapped between the walls, or in closets, crawlspaces, attics or basements, the rise in local humidity can create pockets of condensation and humidity. The experts at DryAgain Water, Mold and Fire Restoration Services deal with water damage every day and we know that, unless the drying-out process is thorough, any moisture left behind can create an environment that is hospitable to mold. 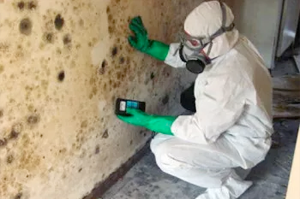 Following the event of saturation, spores, mold, and fungus can cause further damage to your property, and in some cases unsafe living or working conditions due to an infestation of spores. We promise to eradicate the mold until the affected area has been fully restored and treated to prevent the reoccurrence of colonization. We use only safe, biologically sound cleaning materials, never harsh chemicals, so you can be sure that you’re not trading one airborne health hazard for another. 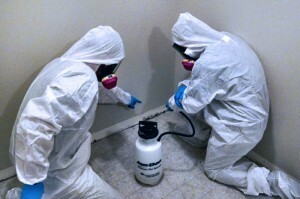 At DryAgain Water, Mold and Fire Restoration Services we take your health and safety seriously, and that commitment to excellence is reflected in our methods and professionalism when taking on a mold problem on your property. We won’t stop until your home or office has been returned to its pre-loss condition. Mold can grow anywhere where the humidity in the air has risen over 45% . . . an extremely common occurrence, especially during wet thawing seasons or hot humid summers. Really, mold can happen at any time. That is why it is so important to have a professional from DryAgain Water, Mold and Fire Restoration Services come to test your property for mold. We understand how mold works. We know how to test for it, how to remove the colony, and what measures are appropriate to prevent a future incident. DryAgain is IICRC Certified and an EPA Lead-Safe Certified Firm. Call DryAgain Water, Mold and Fire Restoration Services at (909) 337-7900 today to schedule your appointment, or email us at trevor@dryagain.com; our service representatives are standing by.